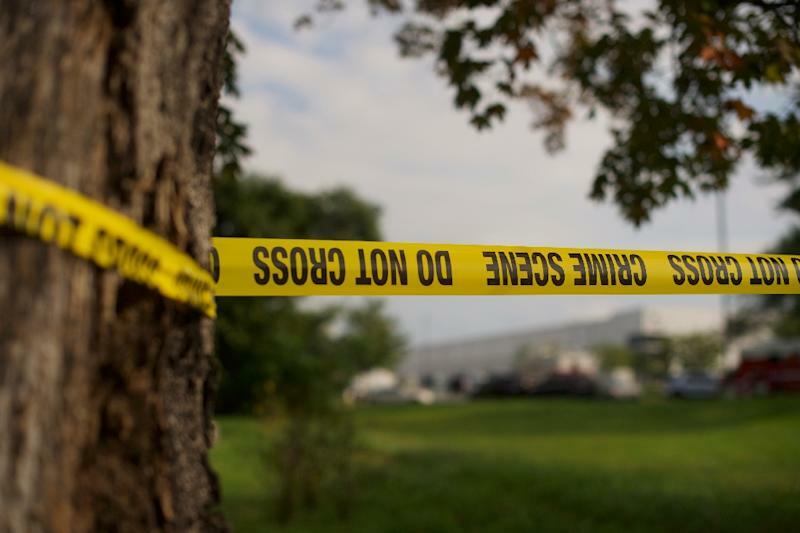 Chicago (AFP) - At least one person was killed and several others, including police officers, were wounded on Friday when a gunman opened fire in an industrial area on the outskirts of Chicago. US media reported that the suspected gunman was killed soon after police and federal agents flooded a manufacturing complex in Aurora, Illinois -- 40 miles (65 kilometers) west of central Chicago. The Kane County Coroner's office said that it could confirm "at least one fatality." Four injured officers were said to be in stable condition, and one local hospital said it had treated three patients for "non-life threatening injuries." Witnesses said they had locked themselves into nearby buildings as a man in his 30s or 40s began firing off rounds. Aerial TV footage showed dozens of police cars, ambulances and fire trucks at the scene as local officers with shields entered the complex alongside the FBI and Bureau of Alcohol, Tobacco, Firearms and Explosives. John Probst, who was in the building as the shooting began but was able to escape, told the local ABC TV affiliate he recognized the gunman as a co-worker. "What I saw was the guy running down the aisles with a pistol with a laser on it," he said. "We were just scared." The Illinois Fraternal Order of Police said four Aurora police officers were wounded. "These four heroes willingly ran into harm's way to protect their fellow citizens and very nearly paid the ultimate price," union leader Chris Southwood said in a statement. Police urged the public to avoid the area, announcing that they would give further details at a news conference later in the day. Aurora city spokesman Clayton Muhammad told the local CBS TV affiliate less than two hours after the shooting began that "the immediate threat to the community has been neutralized." "The officers are in stable condition, those that were injured," he said. Multiple news outlets said the person killed was the shooter. Nancy Caal, an employee of a nearby repair workshop, told the Daily Herald newspaper she and three others had heard numerous emergency sirens, and so "went and shut the front gate and locked all of the doors." The local school district put campuses on lock down, but students were released later in the day. The shooting comes just a day after the first anniversary of the Valentine's Day shooting at Marjory Stoneman Douglas High School in Parkland, Florida, where a former pupil killed 14 students and three staff. Nearly 1,200 children lost their lives to gun violence in the year since and there have been 37 mass shootings -- those with at least four victims, not including the assailant -- recorded already in the US this year. White House Press Secretary Sarah Sanders told reporters President Donald Trump had been briefed and was monitoring for news from the latest rampage. In a presidential message Thursday to mark the Parkland anniversary, Trump recommitted to "ensuring the safety of all Americans." "Let us declare together, as Americans, that we will not rest until our schools are secure and our communities are safe," Trump said.